Die Anwendung btAppAutomation ermöglicht es Anwendungsabläufe automatisiert ablaufen zulassen. Dies erfolgt wahlweise einmalig oder in wiederkehrenden Arbeitsabläufen. Alsunterstützendes Werkzeug wird auf die Bibliothek von Selenium zurückgegriffen. Die Anwendungen können dabei als Webanwendung oder Standard API vorliegen. By setting the value to “True” the application can hire an existing process from an application enforced to run in automation mode. A value of “False” creates a new process. The browser which will be used for web automation. Last used folder for the automation configuration files. The last used automation configuration file. The own application can be stretched by setting the value to “True”. Folder where screenshots are stored in case of failures. The configuration file supports the following functions. The function description is made by example. 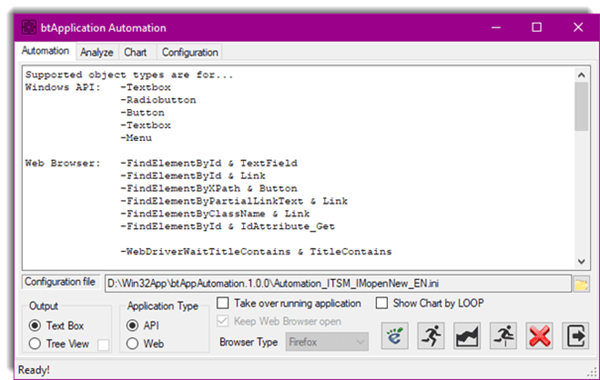 Controls whether the application is running in specified loops. Time delay to compensate timing issues between web server and web browser. Keep the web browser open after the last automation run. Go to [Textbox1], increment value by “5” and continue as described in target group. Go to [Radiobutton2], don’t increment value and continue as described in target group. Go to [Button3], don’t increment value and continue as described in target group. Go to [Textbox4], don’t increment value and continue as described in target group. Go to [Menu4], don’t increment value and continue as described in target group. Go to “radioButton1” which is labeled as “DES Encrypt” and select it. Go to “button1” which is labeled as “Compute” and select it. Go to [FindElementBy1], don’t increment value and continue as described in target group. Go to [FindElementBy2], don’t increment value and continue as described in target group. Go to [FindElementBy3], don’t increment value and continue as described in target group. Go to [WebDriverWait4], don’t increment value and continue as described in target group. Go to [WebDriverWait5], don’t increment value and continue as described in target group. 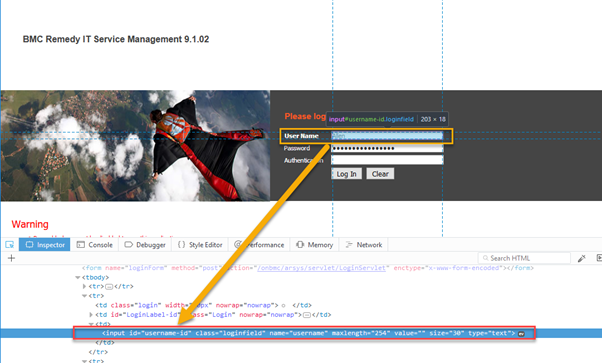 Go to [FindElementBy6], don’t increment value and continue as described in target group. Go to [WebDriverWait7], don’t increment value and continue as described in target group. Go to [FindElementBy8], don’t increment value and continue as described in target group. Go to [WebDriverWait9], don’t increment value and continue as described in target group. Enter the username “Allen” into the dialog field. Enter the password “password” into the dialog field. Wait max. 10 seconds before continue. By setting the check mark the application can hire an existing process from an application enforced to run in automation mode. The chart analysis is considering loop sequences. Usually use one of the following tools “inspect_x86.exe” or “inspect_x64.exe” provided by the Microsoft Windows SDK package. Then click on element, which should be part of the automation. By setting the check mark the web browser kept open after the last automation run. 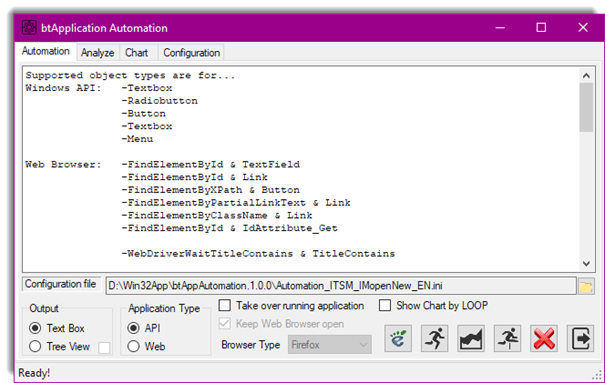 The process to collect the element names from browser page and to put it into the automation INI file. Übersicht der Benutzeroberfläche mit verfügbaren Schnelldokumentation nach Programmstart.